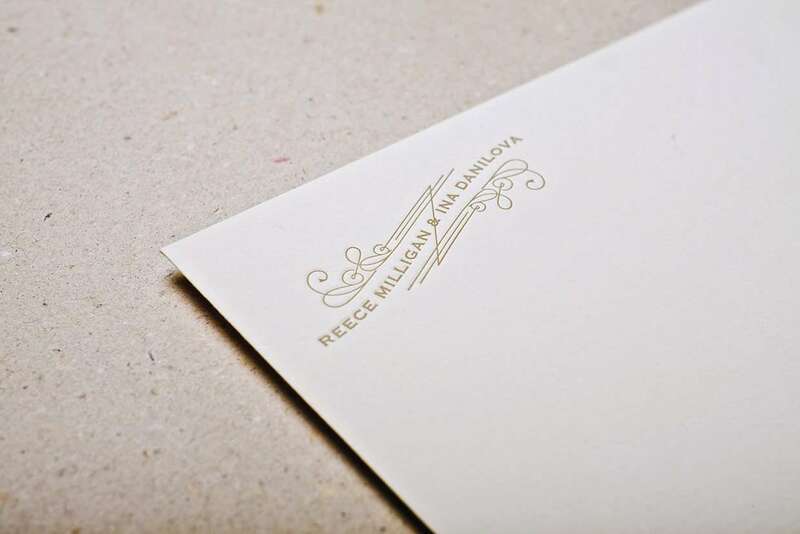 Mirror shining gold that is what people are mostly expecting from gold ink printing, but while printing with metallic gold on pure cotton paper ink looks matte, like dirty yellow/green color ink and it doesn’t shine at all. 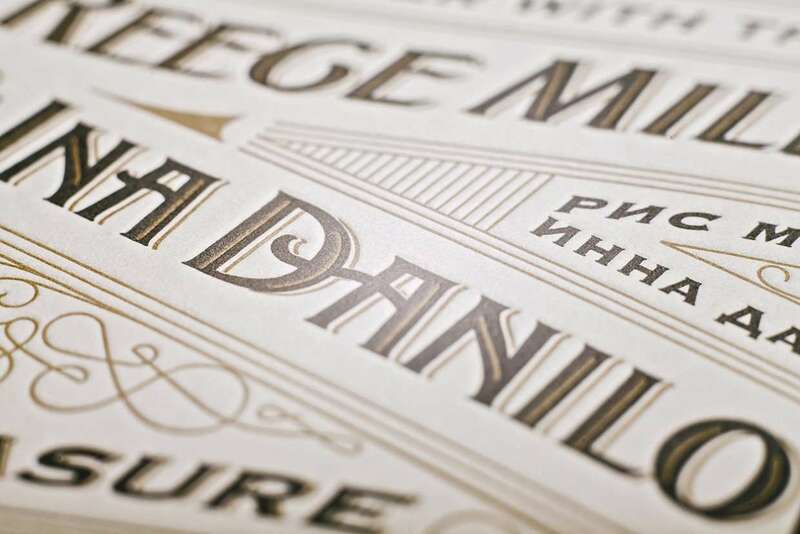 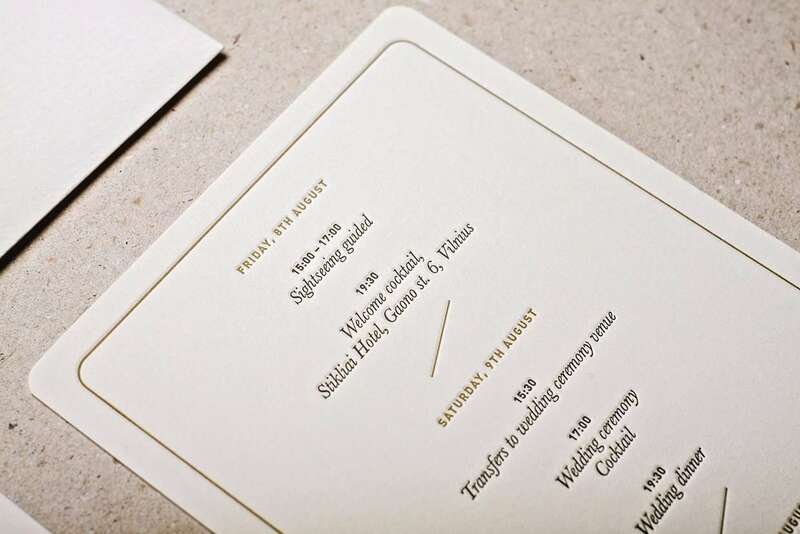 But we love such vintage looking gold print works! 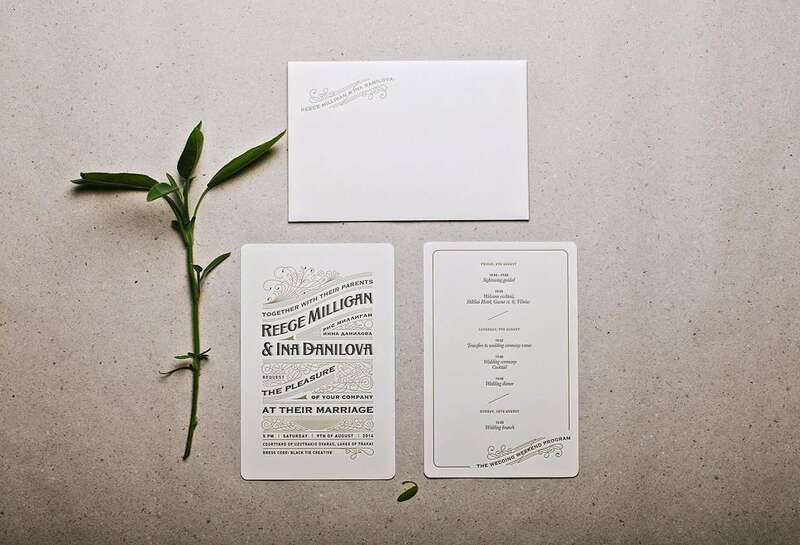 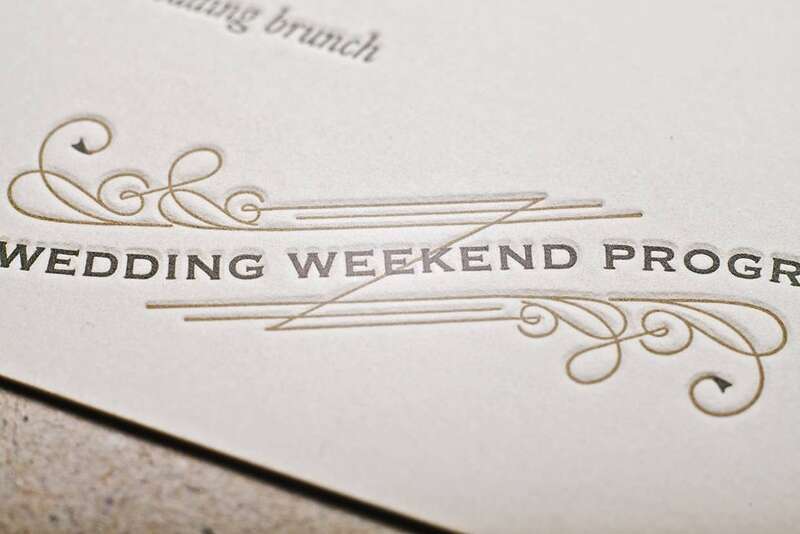 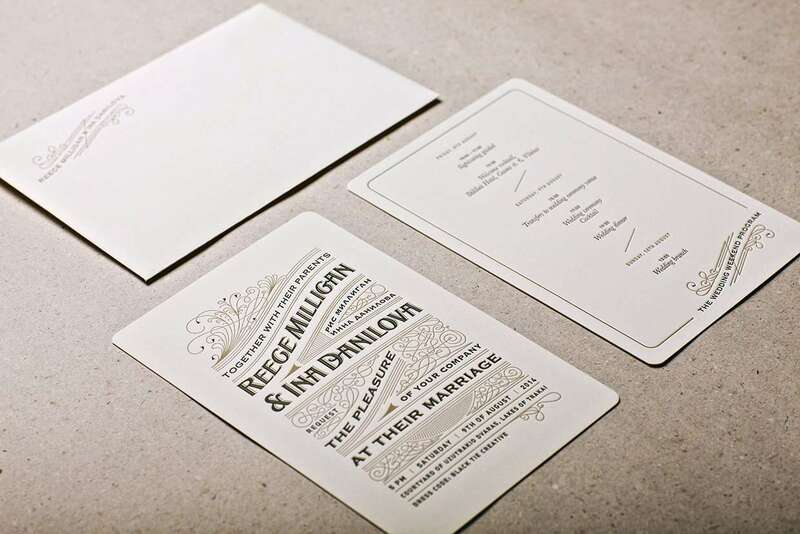 The designer of these letterpress wedding invitations has done a great job – perfectly matching colors and thin line art accents creates the royal looking view.